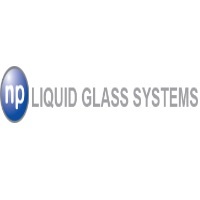 We joined the Elevation Construction Network to help promote our services and get new clients for NP Liquid Glass Systems. I’ve found the group a great support, not only in terms of referring new business, but also a place to get advice and reliable professional tradesmen that we can refer our clients to. Attending the fortnightly meetings helps us to keep on top of the different types of projects that are happening and it’s great to see the amount of business being referred at each meeting. I’d happily recommend the Elevation Construction Network to anyone who wants to do more business in the construction sector.